* Magnet features adhesive to apply your business card to personalize. * 50 Sheets per pad. * Printed in reflex blue and black on 20 lb. white bond. * Each pad has a printed 4 color backer featuring a kitchen measures. 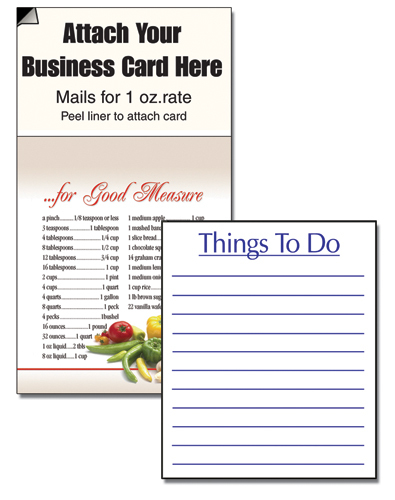 * Imprinted envelopes available for mailing pads.